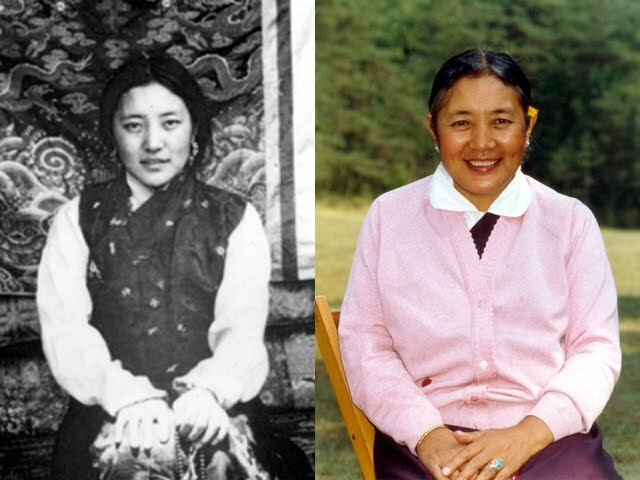 Khandro Tsering Chödrön, Khyentse Sangyum, beloved by so many, passed away on the 30th of May 2011 at Lerab Ling in France. Sogyal Rinpoche and Orgyen Tobgyal Rinpoche were both present at the moment of her passing where she showed all the signs of attaining the final accomplishment of a great Dzogchen practitioner. Sogyal Rinpoche also said that this is a very powerful time to do Guru Yoga practice. He said for us to consider Jamyang Khyentse Chökyi Lödro, Khandro Tsering Chödrön, and Dilgo Khyentse Rinpoche’s wisdom minds are one and to make strong aspiration prayers for our own accomplishment of Dzogchen practice and the spiritual path.